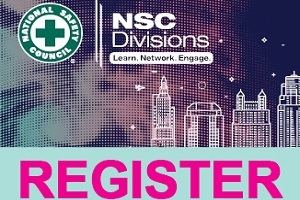 Four days of educational sessions, division meetings, technical tours and networking events—all in one place at the NSC Spring Professional Safety Network Divisions Meetings in Kansas City. These combined mid-year division meetings are a chance to learn from leading experts and enhance your safety skills. SafeStart is proud to be a platinum event sponsor and to provide one of our best speakers for its keynote session. Ten Feet Tall and Bulletproof will be presented by Jack Jackson on April 29 from 8:30 a.m.–9:45 a.m. In this keynote, Jack will address a common belief that bad things only happen to other people. He will inspire critical thinking and lead people away from assuming they’re “safe enough” to thinking differently about their own personal safety. This spring meeting will provide division members with a chance to enhance their safety skills, share ideas and network with those in their industry. So join us in Kansas to learn, discover new concepts and share your passion for safety. This guide contains tips on making the case to attend safety conferences, choosing sessions and how to maximize your experience.